Most of us are aware that when you are pulled over for suspicion of driving drunk, a police officer will give you some sort of roadside breathalyzer test. Recently, with the legalization of marijuana in a few states, driving while under the influence of drugs such as marijuana has become a larger concern. There has been no real solid way to test someone for the suspicion of being high when pulled over. However, currently, researchers are working on a new device to detect weed on your breath. Getting pulled over for a DUID can be confusing and currently, there is no device to help a cop know for sure if you took drugs before driving. The signs tend to be similar to driving drunk that give the police a reason to pull you over, such as swerving. Many law enforcement officers have been trained as Drug Recognition Experts to identify signs behaviorally and psychologically that you are on marijuana when pulled over. They are trained to identify physical indicators on your body as well. When you are pulled over for Driving While Under the Influence of Marijuana, if they have probable cause, you will be brought into a testing facility. These are controlled environments to test and prove that you recently took drugs like marijuana. Typically, a chemical test will be administered and you could be charged with a DUID if the level of THC is above the limit. The charges for this are very similar to a DUI conviction. How Will the Detection Device Work? In order to make the process of detecting marijuana easier for police officers, a breathalyzer is being released soon specifically for marijuana. The hope is to be able to detect the level of active THC in your system as well as how long ago the drug was consumed. The device will work by blowing into it to detect the marijuana level on your breath, just like an alcohol breathalyzer does. Currently, the device seems to detect the presence and level of marijuana better the closer in time you were to actually taking the drug. The longer you wait, the less effective the test is and the levels decline steadily. The concentration of THC will vary based off different variables. The marijuana breathalyzer detection device is currently in its research phase. There have been several entities, such as state universities, that are building and testing the device for accuracy. However, there have been too many inconsistencies to release it. The device needs to be dependable and consistent in order to release it to the public. The studies continue in order to get this device ready for market. One part being studied now is a way to make the equipment portable for law enforcement to use as a roadside test. 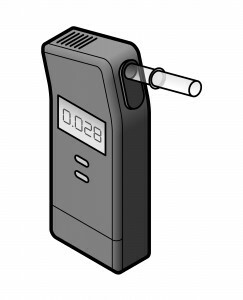 The breathalyzer needs to have controlled limits for marijuana levels when tested before it can be used roadside. This means determining the concentration levels of THC on the breath based off frequent versus occasional marijuana users and how this can correspond with impaired driving. Once this has been done, lawmakers will put in place what the legal limit of THC levels is when you are tested on the spot after being pulled over. 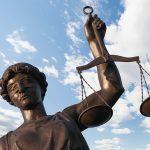 While researchers are still making improvements on the device, it is estimated to release sometime near the end of 2016, making it much easier to prosecute someone for a DUID. Contact Clark Law Firm immediately for a free consultation if you have been prosecuted for a DUID! We are the most experienced Boulder DUID Attorney to assist you legally for a Driving While Under the Influence of Drugs charge.